What a weekend! 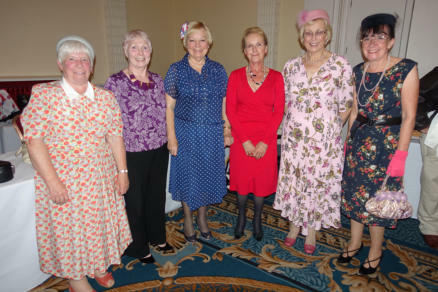 What memories we all took home with us from the 54th annual September convention. Just to look through the photos in the image gallery will help anyone who attended to re-capture some of the wonderful weekend moments. 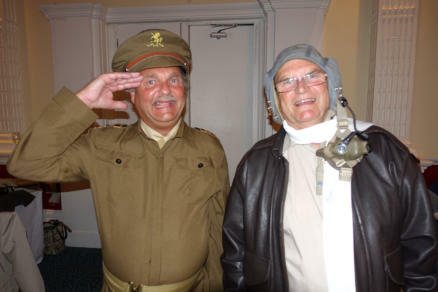 Founder member John Walley excelled as the Saturday night host for the first half of the war-time concert to celebrate the 75th anniversary of The Battle Of Britain, but it must be said that he was ably supported in the 2nd half of the show by Andy Poppleton who also did a first class job and was turned out looking immaculate in RAF uniform. 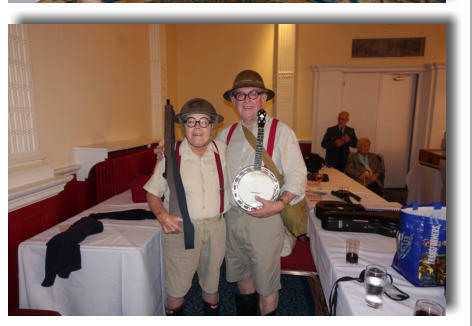 The committee hoped that the event would be well supported with members performing Formby war-time numbers - and hoped even more that they would take the trouble to dress appropriately for the occasion. Once again, the members came up with the goods! 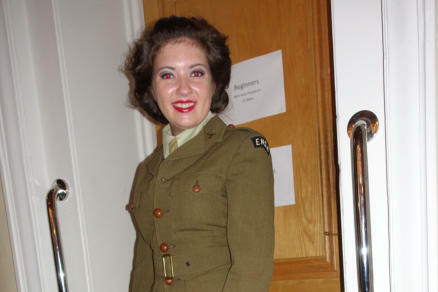 Some wonderful costumes and colour were on stage for the concert, and the lovely Francesca Davies even performed in Beryl Formby's wartime ENSA uniform. Francesca looked lovely in the rare archive item and was delighted to have been chosen to model it. Well attended Once again, the convention was well attended throughout the weekend and even on Sunday evening (when usually many have to leave owing to work commitments), we had a very healthy attendance both for the cinema and for the concert - I should say "late night concert" as it was nigh on 11:30pm before Gerry Mawdsley said the final "thank you" to all who had made the weekend the success that it was and to all who had attended. Top Entertainment The quality of entertainment in the George Formby Society is always very high, and this weekend easily maintained the standard. The success of the Society for the future seems to be assured, judging by the attendance, the quality of the entertainment and the various age groups in attendance. 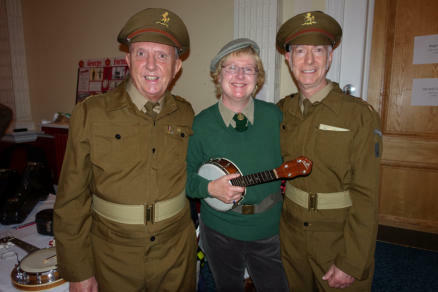 Best Moments What a good idea for the Westhoughton branch to prepare and perform together, more branches could make their presence felt by doing this, it is a great way to highlight just what is available away from the main event in Blackpool. Dennis Mitchell did his best to train Caroline Stewart to be on cue in the song "Swinging Along" in the wartime concert, but although Caroline did all the right answers, she did them at all the wrong times. view the clip here The best moment for me (and many others) was when my mate Alan Kershaw sang "The Auld Triangle" on Sunday evening with all the lovely GFS ladies - Alan gets a standing ovation at the end and his performance here and on Saturday with his gun was just brilliant! You rarely see a standing ovation at a convention but Alan Kershaw totally deserved it, a fantastic performance from the most popular man in Blackpool on that weekend! view the clip here Ray Reynolds and Johnny Key spent the weekend in army uniforms and must have been sweltered! But they didn't let that get in the way and were as entertaining as usual. Back in November Words can't describe a Blackpool weekend for Formby people and you really need to be there to enjoy the atmosphere and the people within the concert room. September was full of magic moments but we will do it all again on November 28/29, be there!